Back in 2016, Google announced it was updating its search results algorithms to give preference to sites that are optimized for mobile. 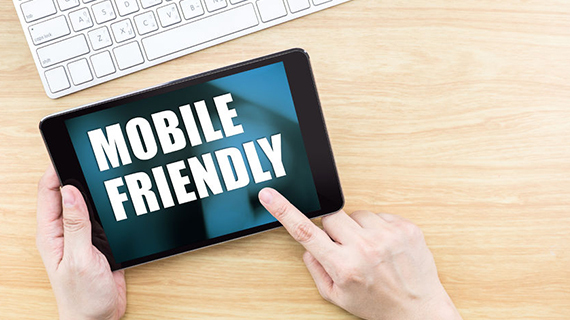 This wasn’t just an informational notice to the masses; it was a subtle warning for businesses to improve their sites’ usability and relevance by becoming mobile-friendly – or risk falling in search result rankings. Why the focus on the mobile experience? Research conducted by Google and other partners show mobile devices are an important part of people’s lives. In fact, according to Google, 77% of mobile searches happen at home or at work, places where desktop computers are most likely available. So people are choosing to use their phone or tablet over a computer to find information, make a purchase and engage with others. In order to keep up with the huge rise in mobile users, Google has concentrated its efforts on making the web more mobile-friendly for people. They’ve created informative guides, developed website tests and started community forums to help businesses and website owners build a mobile-friendly site and better overall experience for visitors. So what does your business need to do to provide a great mobile experience? First and foremost, build a responsive site. A responsive design utilizes just one website and URL, and ensures your website’s content, images and overall layout look the same on any device a buyer uses. Considered an industry best practice by Google, a responsive web design not only makes it easier for Google to scan, index and organize the online content, but it also allows users to share content and interact with you. 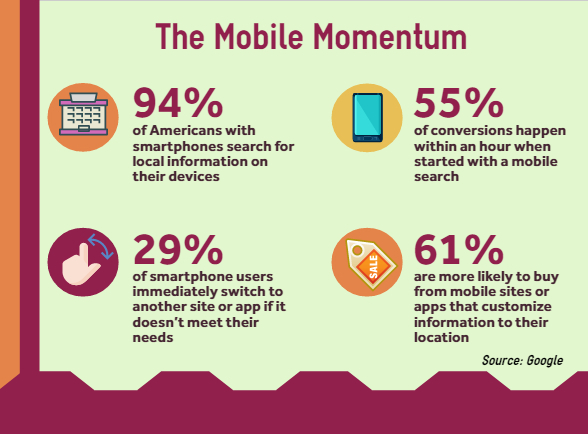 Are you curious to see how your site performs on mobile devices? Take Google’s Mobile-Friendly Test to measure your site’s mobile effectiveness and learn what specific roadblocks your users are encountering. Once downloaded from an app store, a mobile app doesn’t necessarily need an Internet connection to work. Buyers can use the app offline to view their purchase history, create wish lists and more. A mobile app is a great complement to your responsive-designed website to give shoppers another way to shop and transact using a friendly interface with simpler functionality. Google stresses the effects a good mobile experience can have on SEO, engagement and conversions. Take advantage of their learnings and expertise to create a better mobile experience for your buyers, starting with the fundamental necessities and building from there.